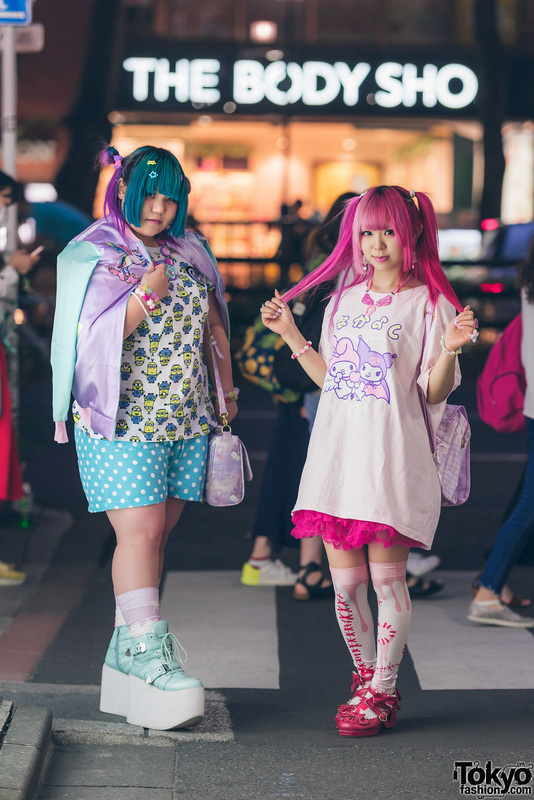 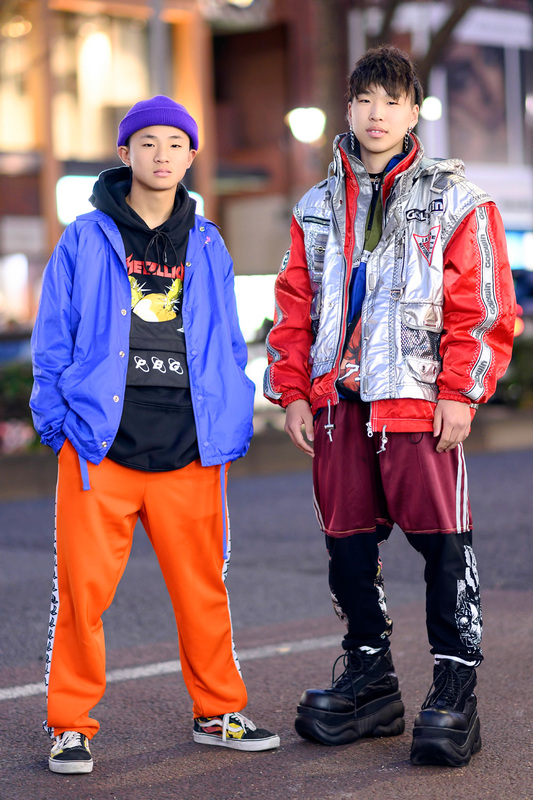 Harajuku duo out on the street sporting striking colorblock streetwear styles. 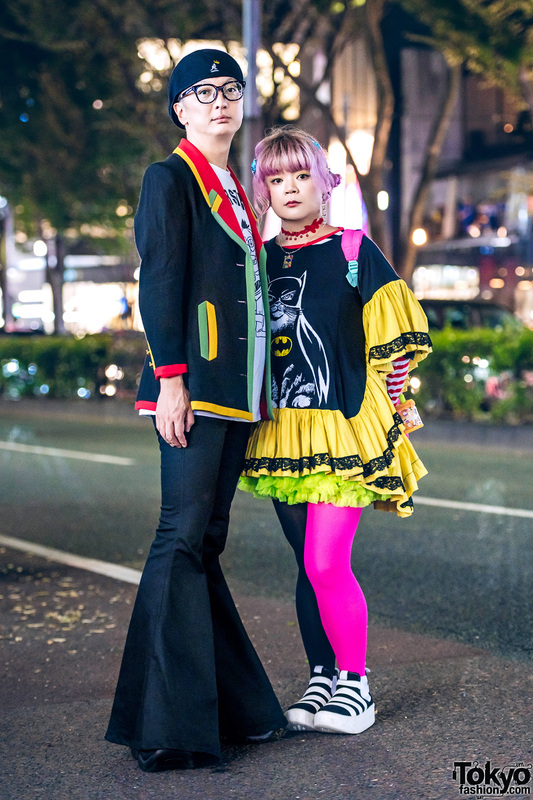 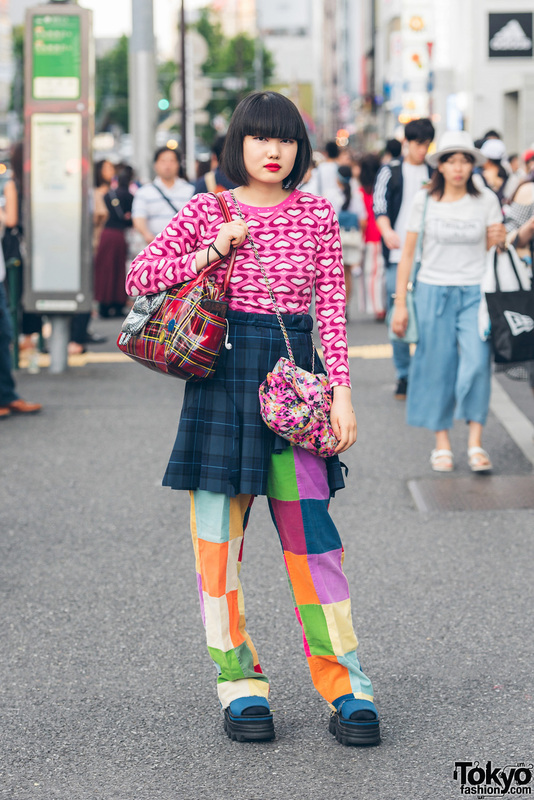 Harajuku guy wearing a Vivienne Westwood outfit, black creepers, and accessories. 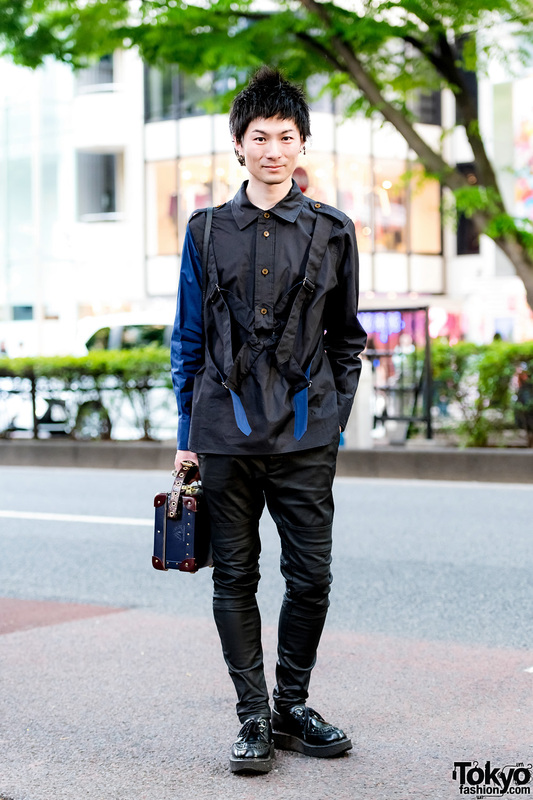 Harajuku teen in bold red and blue streetwear look w/ matching jacket and track pants, vintage boots and sling bag, red visor, sunglasses, grommet belt and masquerade mask. 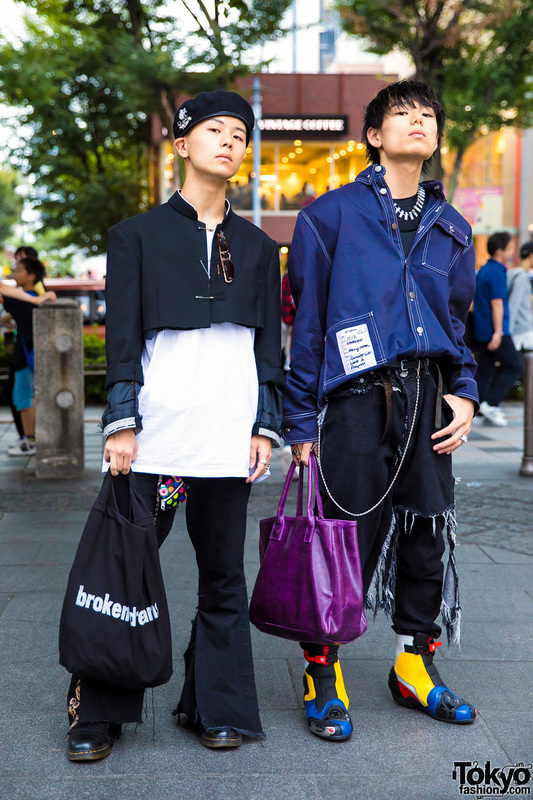 Harajuku guys in edgy streetwear with deconstructed uniform, denim flare pants, boots, blue jacket, rugby shirt, colorblock shoes, and a vintage purple bag.